That means your audience won’t care about topics that are boring, old and don’t resonate strongly with them, no matter how much you try to push it to them. How do you get people to care? How do you get them to click and share? 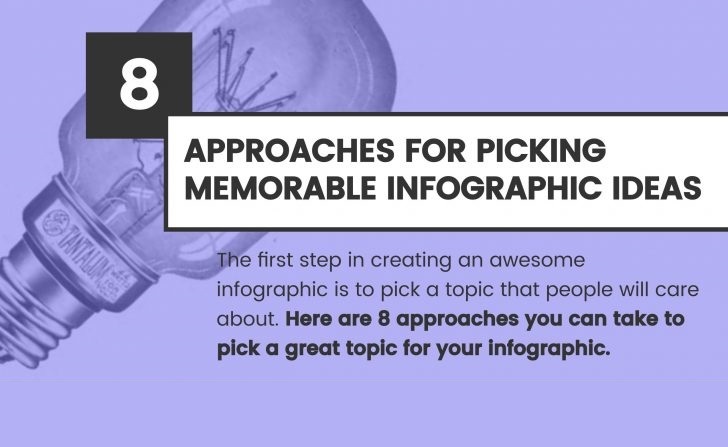 Here are eight proven approaches for choosing great infographic ideas.